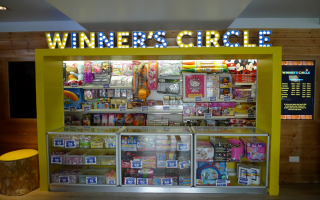 Winner’s Circle is the exciting new prize shop format arriving at holiday park fun hubs across the country. Created by Playnation, Winner’s Circle offers a great range of prizes on site and for regular fun lovers, the opportunity to save up their tickets to win bigger and better prizes. When you’ve collected as many tickets as you can, feed them into the ‘Ticket Eater’ for your voucher and take it to the ‘Winners Circle’ prize shop. 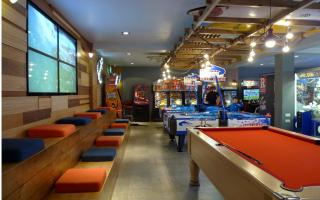 Play the Ticket and Prize machines in any of our fantastic venues, collect more tickets for bigger and better prizes! Designed by Ink & Water Ltd.